Nearly half of all pregnancies in the United States are unintended.1 Although the teen pregnancy rate has decreased since the 1990s, it is still higher than the rates in other developed countries. Long-acting reversible contraceptives (LARCs) are excellent choices for women at increased risk for unintended pregnancies.1 LARCs include intrauterine devices (IUDs) and implants. LARC methods are highly effective, and there are no issues with patient adherence.2 With oral contraceptives, patients must remember to take their pills daily. With contraceptive injections, patients must obtain their injections regularly. 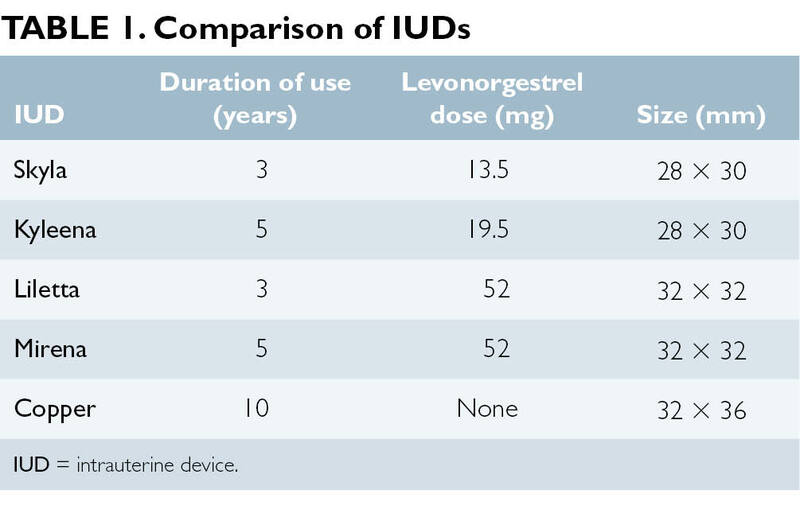 Even though the up-front costs are higher, LARCs are among the most cost-effective methods available because of their low failure rate.1 However, the rate of LARC use is low in the United States, at less than 10%.3 In the past, some providers discouraged adolescents and nulliparous women from using LARCs. The purpose of this article is to provide information on the available LARCs, discuss the 2016 US Medical Eligibility Criteria for Contraceptive Use (US MEC), and describe effective counseling strategies for patients wishing to use LARCs. Which of the following is the greatest barrier to increasing use of long-acting reversible contraceptives?